Home / Blog / Kashmir / Pakistan / Why Pakistan needs to review its foreign policy ? 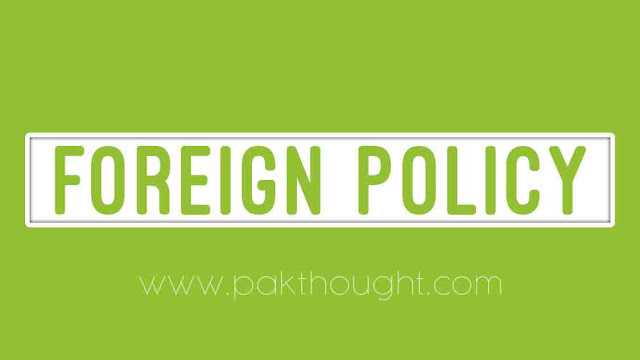 Why Pakistan needs to review its foreign policy ? Foreign policy of a country always play an important role in relations between country to country. Since the independence of Pakistan, the country has faced many critical conflicts due to lack of proper foreign policy and thus the democracy inside Pakistan is facing many challenges to tackle all internal as well as external problems. It is the foremost important aspect of a country that is independent and run democracy on its own. The Political leader or Foreign Ministers of Pakistan need to make sure that while dealing with other countries, National Interest should be the first and foremost priority. In the erra of Pervaiz Musharaf, he not only compromised the national security but also derole the national Interests by allowing the americans to use the Soil of Pakistan against Afghan Taliban. So all the destruction which Pakistan had faced is due to this reason. Pakistan needs to maintain good relations with its allies including Turkey, Iran, Saudi Arabia, Qatar, UAE, Bahrain, Jordan etc. The relations should be based on mutual Interests and cooperation. China is a strong ally of Pakistan and till now helped Pakistan in every difficult situation. This is an erra of economic war. Every country is focused to its economic situations so as Pakistan should do too. But our Politicians keep poking nose in Rivalry matter to disrupt the Nations focus on progress to enmity with rivalries. The Rivalry between Pakistan and India is very strong so we need to sit together and start dialog on conflict of Disputed Kashmir etc.